On the December 9 and 10, 2017 a two-day international conference was organized at Mumbai University where participants from all eight South Asian countries gathered to discuss the topic "Changing Dynamic in SAARC: Challenges and opportunity in the Region”. It is a known fact that, despite numerous efforts, cooperation process in South Asia has been affected by various factors. So far, 18 summit meetings have been held which indicate SAARC as a pivot of regional high politics. However, on the achievement front, there’s not been much progress. Since its birth in December 1985, SAARC has been stuck in mutual conflicts, disputes, and differences. At the conference, I presented a paper on “SAARC initiatives for regional cooperation in poverty alleviation”, primarily because most countries in the South Asian region have not been able to break the circle of poverty. My attempt was to explore the challenges and find solution for the same. 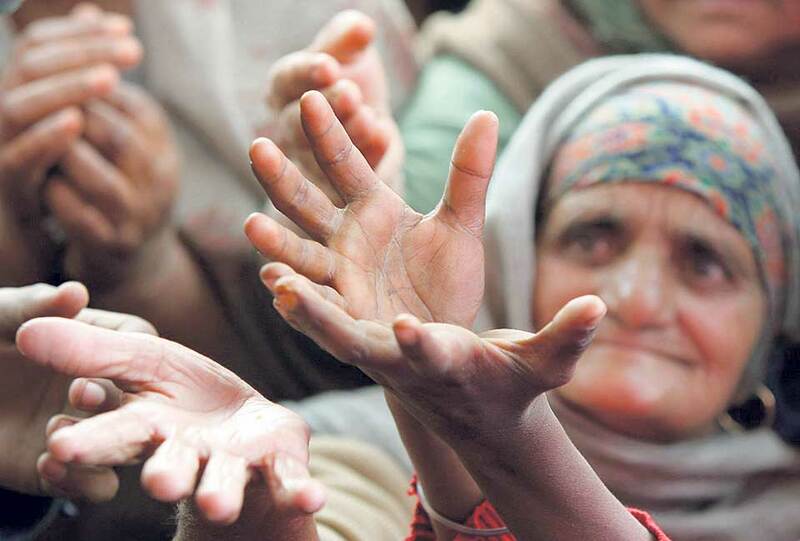 Ever since its formation, SAARC has made several attempts to address the issue of poverty. The SAARC Charter, drafted in 1985, referred to enhancing the living standards and improving the welfare of the people via regional cooperation. Initiation of Integrated Programs of Action (IPAs) incorporated this people's welfare related objective in the Charter by forming IPAs in Agriculture and Rural Development, Human Resources Development, and Social Development. When the 6th SAARC Summit took place in Colombo in 1991, the Heads of States of SAARC countries decided to appoint an Independent South Asian Commission on Poverty Alleviation (ISACPA1) to study and recommend policies to address this pressing issue of the region. In late 1992, ISACPA1 came out with a report titled 'Meeting the Challenge' with key recommendations to enhance regional economic growth and micro-level intervention by social mobilization. The commission argued that the poor are proactive and agents of social change and therefore should be empowered by social mobilization. The commission also highlighted a number of projects in the region where social mobilization had been effective in empowering the poor, viz., Bangladesh Rural Advancement Committees, Agha Khan Rural Support Program of Pakistan, SEWA of India, etc. The commission argued that if the suggested strategy is pursued by all member countries of SAARC poverty could be eradicated in the region by 2002. However, none of the ISACPA1 recommendations were achieved by 2002 and poverty remained a key issue with South Asia sheltering 40% of the world's poor. At the 11th SAARC Summit in 2002, the SAARC leaders noted that global conditions have changed since the mid-1990s with international institutions like the UN coming up with the Millennium Development Goals (MDGs) and thus there was a need to have a fresh look at poverty in the region. Accordingly, a decision was taken to appoint a new ISACPA (hereafter indicated as ISACPA2) with new terms of reference. The key recommendations of the ISACPA2 titled: 'Our Future Our Responsibility', published in 2003 stated – mainstreaming the informal economy, reviewing laws and policies which impact on the livelihoods of the poor, enhancing gender equities, prudent macroeconomics, sustainable development, and mobilizing the power of the poor. It highlighted the regional best practices under the theme 'Garden of Hope'. Halving poverty in the region by 2010 was the main objective of the strategy. The 12th Summit requested ISACPA2 to continue as an advocacy body and submit to the next summit, a comprehensive blueprint setting out SAARC Development Goals (SDGs) for the next five years in the area of poverty alleviation, education, health, and environment giving due regard, inter alia, to suggestions made in the ISACPA2 report. In the 13th Summit, the SAARC leaders requested the commission to further elaborate on SDGs and identify indicators, and benchmark them with projected targets for the next five years and to develop a credible monitoring and evaluation framework. The13th SAARC Summit also declared the period 2006 to 2015 as the 'Decade of Poverty Alleviation' and the SAARC Development Fund (SDF) was formalized. Over the last two decades, we have seen a plethora of poverty related declarations, high-powered commissions, plans of action on poverty alleviation, setting SDGs, promoting regional projects, preparation of SAARC poverty profiles, establishing SDF, and so on, to combat poverty in the region. When one looks at SAARC declarations, it can be seen that there is reference to poverty alleviation in all of them. But while the intent has been there, the implementation has been poor and monitoring weak and as a result, none of the set targets on poverty alleviation by SAARC leaders could be achieved. The key issue here is the limitation of regional projects or programs in reducing poverty in individual member states. There is a need to put emphasis on successful practices of individual states. Such programs can then be emulated with due adjustments to initial conditions, country specific factors and implemented if politically feasible in individual member states. Such attempts by member states can be more effective than regional projects. One of the most effective ways of addressing poverty under a regional framework is to enhance and deepen economic integration. Existing regional frameworks such as SAFTA and SATIS (South Asia Trade in Services) need to be deepened and broadened for further economic integration in the region. This will enhance regional overall economic growth and contribute to some degree of poverty reduction. It is high time that SAARC leaders recognize the limitations of poverty alleviation through regional projects and put a stop on further commissions and on setting poverty targets. Strengthening the existing mechanism in SAARC for implementing policies agreed upon at the summits and deepening economic integration under the existing frameworks can be far more effective in combating poverty in the region than any new regional poverty specific initiatives. South Asia has a long road ahead in poverty alleviation and SAARC can only play a facilitating role in achieving the set targets by individual member states. A host of declarations will not be a substitute for concrete action at the ground level. Although poverty is prevalent amongst men as well as women, far more women suffer from poverty due to their low socio‐economic status. Social customs and religious beliefs play a dominant role in shaping a society’s attitudes towards women. At the household level, their status significantly varies between educated and uneducated, employed and unemployed, and rural and urban. If one excludes the very small numbers of successful women who are educated and/or active in the workforce, most women have an inferior status to that of men. They are economically dependent on men even for the basic necessities of life such as food, shelter, clothing, and medicine. Keeping this in mind, the need for poverty alleviation has never been so great. The writer is a political science professor at Tribhuvan University.